In Reader's Workshop, we worked on how readers think while they read. We used our schema as we read our books. The children worked on making text to self connections while they read. We read Fairy Tales this week and focused on text to text connections and retelling as we read different versions of each fairy tale. In phonics, we focused on letter formations, sentence structure, short vowels, building words and nonsense words. In Math, we continued to build teen numbers. 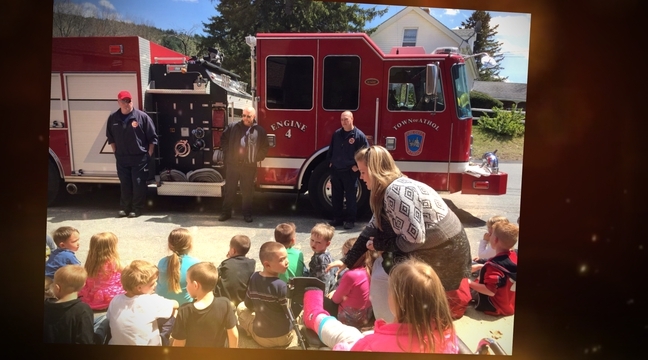 We had a visit from the Athol Fire Department. They brought a fire truck and ambulance. They showed the kids lots of equipment and we all practiced stop, drop, cover, and roll. The kids even got to go in the ambulance and fire truck to take a look around. They wanted us to inform you all that if you ever are in need of batteries, smoke detectors, or carbine monoxide detectors to contact them and they will help you. They talked to the kids about always practicing evacuating just like we do at school and to come up with a meeting spot outside of your house. The kids really enjoyed this visit!!! In Reader's Workshop, we will be working on how readers think while they read. We will be using our schema as we read our books. The children are working on making text to self connections while they read. We will also be reading Fairy Tales this week with a focus on text to text connections and retelling as we read different versions of each fairy tale. In phonics, we will focus on letter formations, sentence structure, short vowels, building words and nonsense words. In Math, we will continue to build teen numbers. In Social Studies, we will discuss Memorial Day and what it means to us. We will practice our songs for our Memorial Day program, which is on Friday, May 27th. Many of you have asked for different ways to practice sight words with your child. I found this website with some ideas. I hope it helps! 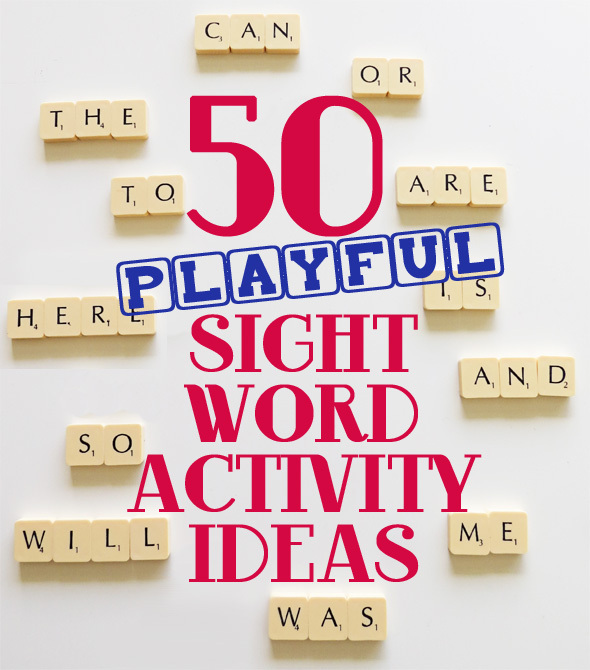 50 playful activity ideas for engaging beginning readers with high frequency sight word learning. The Kindergarten is going on a walking field trip to the library May 24th. We will be leaving school at 9:30 and getting back before lunch. Please send your child ready to walk!